Maine Woods is situated in the northern area of Maine, USA. 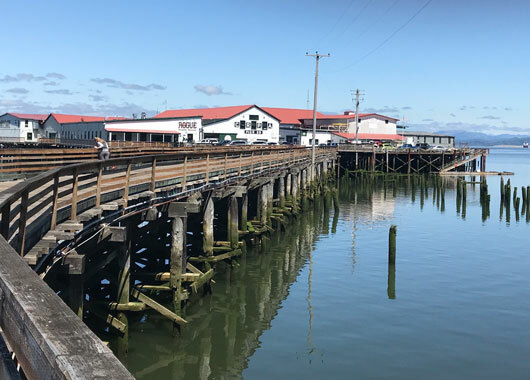 It is a thinly populated region, overseen by a combination of private individual and private industrial owners and state government agencies. 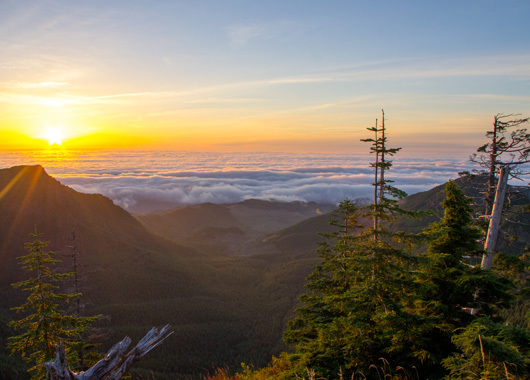 The region covers more than 3.5 million acres of forest bordered by Canada to the west and north. 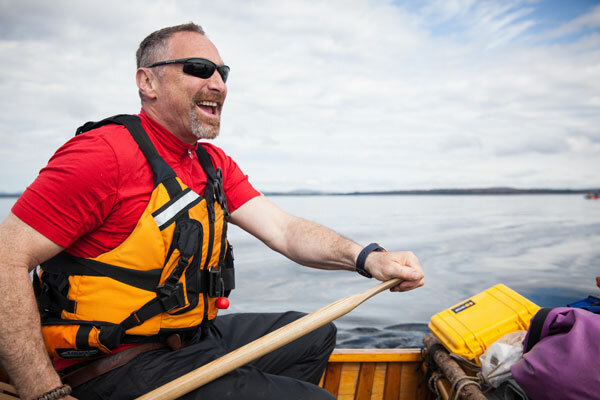 The area’s main products are timber and outdoor recreation. 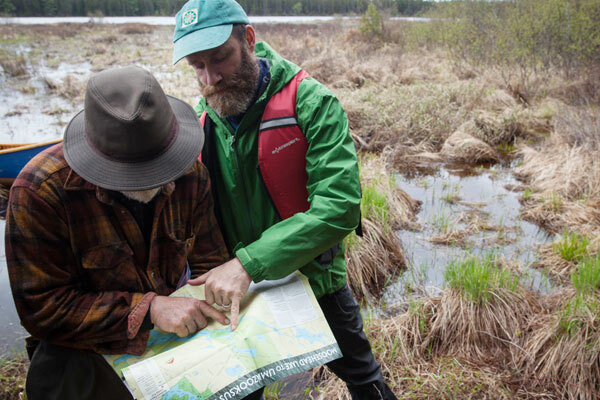 Future iQ has worked with the Maine Woods Consortium on two research reports to investigate the role tourism can play in attracting new residents to the area and to build economic development within Maine Woods. 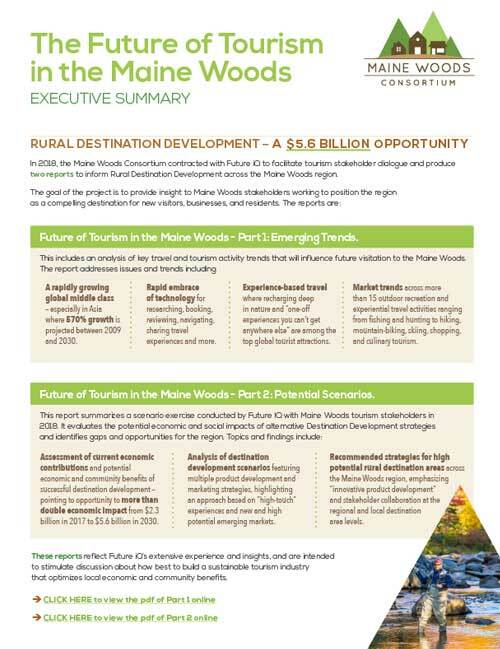 These reports have been prepared by Future iQ as part of the Maine Woods Consortium’s rural destination development program. 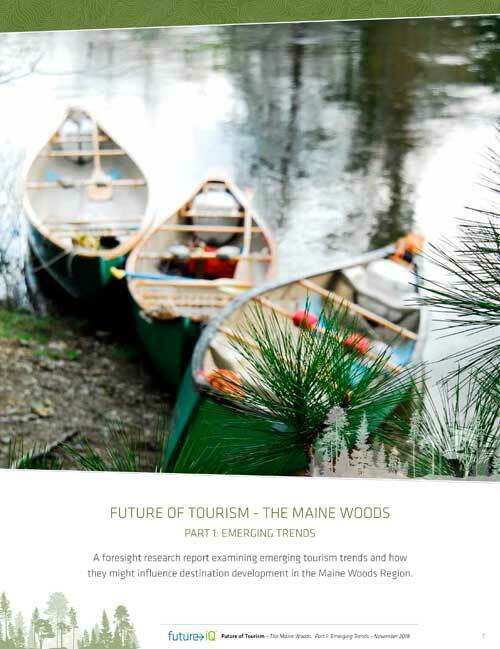 This is a foresight research report examining emerging tourism trends and how they might influence destination development in the Maine Woods Region. 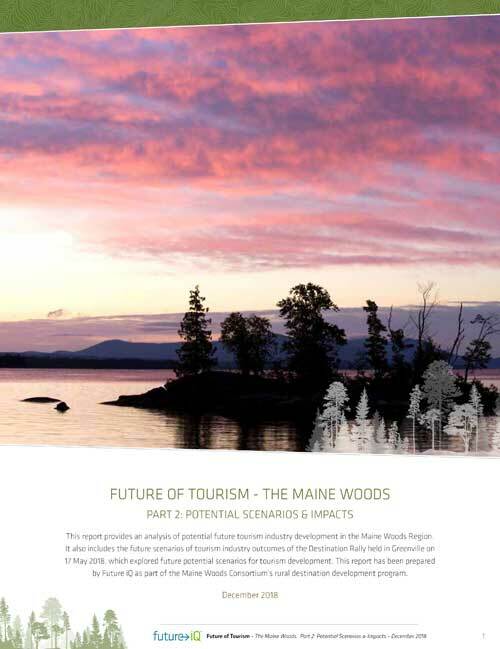 This report provides an analysis of potential future tourism industry development in the Maine Woods Region. It also includes the future scenarios of tourism industry outcomes of the Destination Rally held in Greenville on 17 May 2018, which explored future potential scenarios for tourism development. Future of Tourism - Part 1: Emerging Trends. 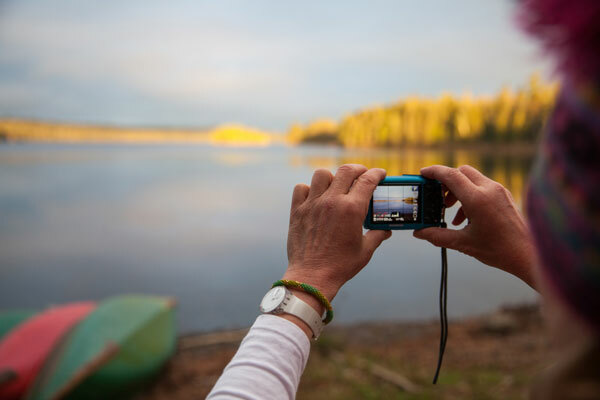 This report examines emerging tourism trends, including activities, types of tourists and technology, and how these trends might affect the Maine Woods Region. Future of Tourism - Part 2: Potential Scenarios and Impacts. This report investigates the tourism industry in Maine Woods, including current economic impact, tourism drivers, and visitor profiles. 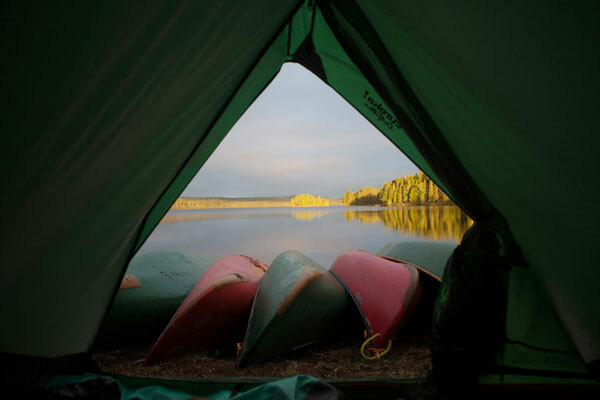 This report looks at scenarios for the future of sustainable tourism for the region, the potential economic, social and environment impacts, and which scenario is most likely to help achieve the goals of the Maine Woods Region, such as creating new economic opportunities and attracting new residents. 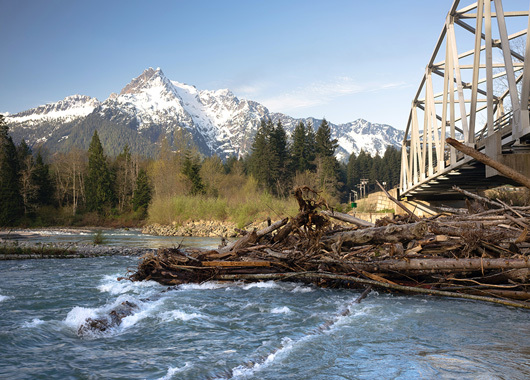 The assessment includes examining High Potential Rural Destination Areas, industry readiness, gaps and constraints, and complementing existing economic activities, such as the forest industry. Sustainable tourism case studies and lessons learned are also be presented.